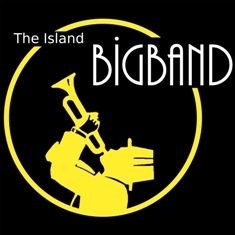 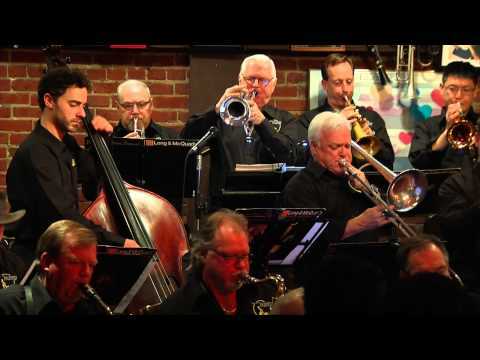 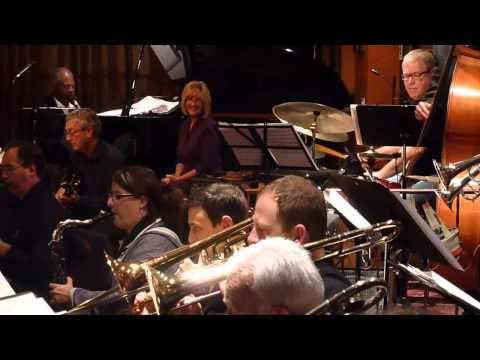 The "Island Big Band" consists of five trumpets, five saxes, four trombones, vocalist, piano, drums, bass, and guitar. 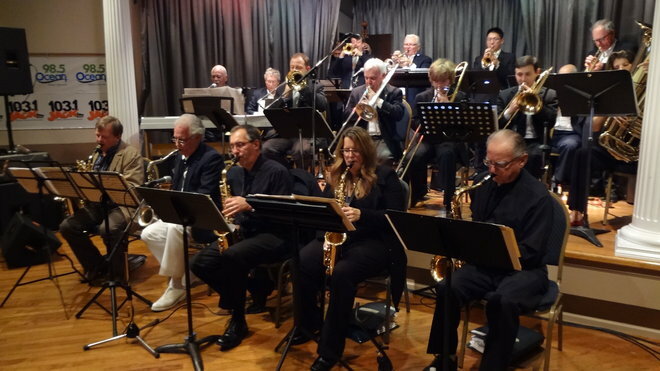 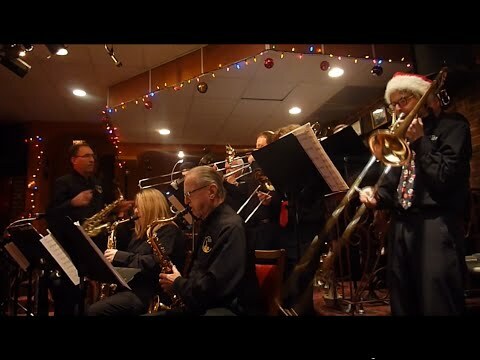 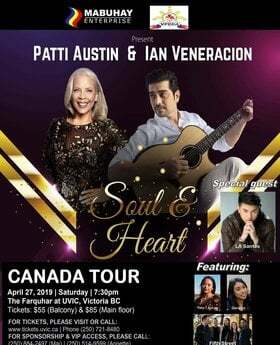 This 30-year old Victoria based non-profit aggregation focused on the music styles from the 1930's to the present and for the first ten years or so the band played for dances throughout Southern Vancouver Island. 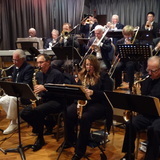 Since then the band's library has progressed to contemporary concert Jazz works intended primarily for the enjoyment of the players and their audiences. 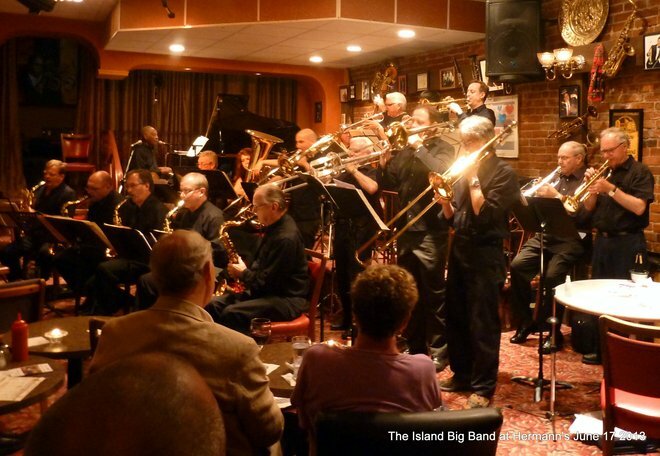 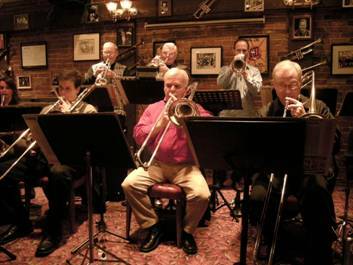 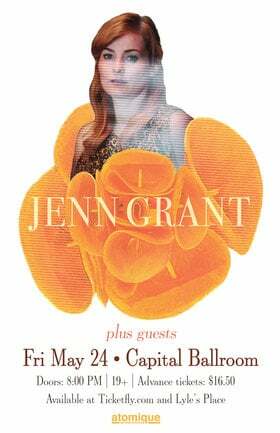 Monday night gigs in Victoria include 5 years at Herman's Jazz Club, 2 years each at Swiftsure Lounge, Harpo's Night Club, and Millennium Jazz Club. 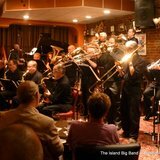 The players, by invitation, are professionals and semi-professionals with many years of experience. 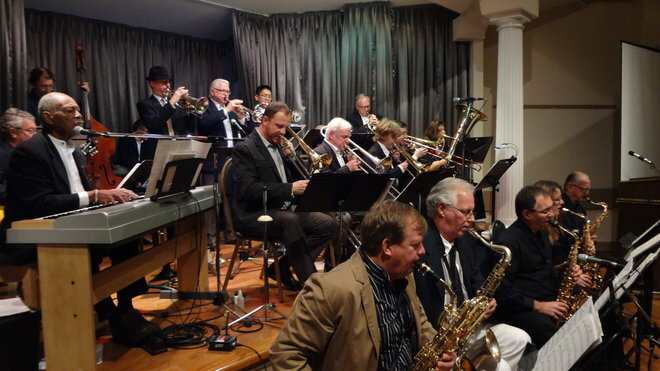 The band has excellent soloists. 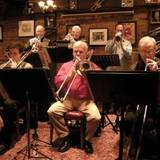 Previous guest artists are Paul Horn (flute), the late Floyd Standifer (trumpet), Walter White (trumpet), and Hugh Fraser (trombone). 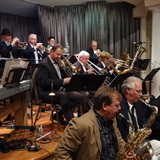 Our large Library includes several hundred standards in challenging concert arrangements.